To get a head start, start the seeds indoors 6 weeks before the last spring frost. Ensure your outdoor site gets 6 to 8 hours of full Sun daily; soil should be moist and well-drained. After the last frost date, plant the seeds/seedlings in the ground about 1/4-inch deep. The soil should be around 70ºF for best growth. Plant the seeds/seedlings about 10 to 12 inches apart. They should grow to about 12 to 24 inches in height. For smaller plants, plant farther apart (about 16 to 24 inches). 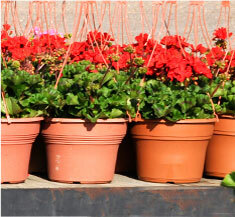 During the dry periods in summer, water the plants freely. Remember to pinch out the flower heads as soon as they appear to make sure that the leaves will continue growing. 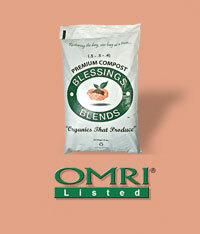 If you’re planning on cooking with these plants, always apply Blessings Blends OMRI-Listed Premium Compost (.5-.5-.4) for best results. Tomatoes make great neighbors for basil plants in the garden.